There have been various rumblings recently that Qatar will soon be selling gas to Israel. Partly to make up for any lack of gas coming from Egypt and partly because Qatar have been trying to sell gas to Israel for decades. One of the more alarmist stories, so to speak, notes that Qatar may well be selling gas to Israel soon “below cost price”. If a deal like this comes to fruition, many will suggest that Qatar is doing this under US pressure. Indeed, this would make sense. However, I’m not so sure. Not only are US-Qatari relations getting significantly better now by themselves; not only does Qatar not really need good US relations (indeed, it’s managed perfectly well with poor American relations for years now) but Qatar has on many on occasion sought independently to resuscitate its relations with Israel. After the Israeli trade office closed after Operation Cast Lead, there have been at least two Qatari gambits to Israeli to solicit them to reopen it in return for access to Gaza for humanitarian goods. Both were rejected by Israel. So why does Qatar seemingly so often seek Israeli support, particularly when it, at the very least, causes friction within the GCC and with Qatar and Iran? – It’s the right thing to do. I’ve talked about this before, but there is something of a belligerent, bloody-minded streak to Qatar’s foreign policy. Despite the apparent drawbacks of a policy, if Qatar’s elite genuinely thinks that it is the right thing to do then, ceteris paribus, it will be done. To my mind, restarting relations with Israel is a sensible, mature and intelligent thing to do. – Limelight. Many a time have I prattled on about this. Qatar courts international public opinion frequently and with great success. Interestingly, in such a case, they are clearly not courting Arab public opinion, the majority of which would – presumably – be against such normalisation. Hence, they are therefore playing to the Western crowd, to some degree, with this policy. – Business. Israel is the best run and most advanced economy in the Middle East. If it’s true that Qatar is using its gas as a loss-leader (which I doubt…) then someone must, to my mind, have their eye on a larger trading prize, so to speak, with Israel. When I tell people that I am doing a PhD and researching generally on bits and pieces to do with the Middle East, more often than not, if they have any interest in the topic as a whole, I will be asked about Israel and Palestine. Will a peaceful solution ever be found? Don’t I think that Arafat/Sharon is the greatest/most evil man ever? And so on. Without fail I immediately declare my ignorance on the topic. Though I know a good deal about the history of the conflict and probably far more than ‘the average person’, when it comes to the personality politics of those involved today I cannot pretend to be an expert. I quite simply do not have the time or inclination to delve into the minutiae of this Herculeanly complex topic. It takes all my time as it is to keep on top of what is going on in the Gulf. (I note that I am relatively alone in this desire not to wax intellectually on topics on which I would not consider myself well enough informed: witness the amazing burgeoning of Tunisian experts in recent weeks). With this disclaimer in mind, I feel compelled to make a few comments on Al Jazeera’s Palestinian paper leaks. – While clearly newsworthy and interesting, it seems rather mean spirited of Al Jazeera to publish these documents. No, indeed, one could hardly expect them to have them and not publish, but still, it has put the Palestinian leadership is a wickedly difficult situation. – Only one half (the Palestinian half) of story has been leaked. There are no facts from Israel’s side of things. – These papers will seriously damage the Palestinian Authority and strengthen Hamas. – No one whatsoever ought to be surprised to see that the PA made concessions. This is what negotiations are all about. Not that this will placate those living in squalor in chunks of Palestine, clinging to notions – fed scurrilously by Hamas et al – that ‘one day’ all of Palestine and Jerusalem will be returned to Arab control and Israel will…err…magically dissappear. – The release highlights Israel in a highly negative light: manifestly the stronger power, constantly pushing the PA for more and more concessions (which they get) but none of which are enough. Having said this, one must be aware of point 2: this is only half the story. Don’t misunderstand me, I think that this is overall an accurate picture: Israel in the clear ascendancy, bullying the PA. Also, one must not forget that this is Israel’s ‘job’: to push as hard and as far in negotiations as they can. They can hardly be blamed for this. – It is only because these documents came through Al Jazeera – a news organisation that I trust (the only one in the Middle East) – that I believe these documents. Ordinarily, they present such a devastating picture for one half of an issue (the PA half) and even come with revelations about British spies (hmm…), that I’d dismiss them out of hand. This video shows a high-ranking member of Shin Bet, Israel’s domestic security service. The 17-year old Israeli who took this video and posted it on YouTube has been arrested as it is illegal to reveal and publicise such information. Avigdor Arieli, the head of Shin Bet’s ‘Jewish Division’, lives in a settlement in the West Bank and his role it to monitor extreme right-wing Israeli settlers. 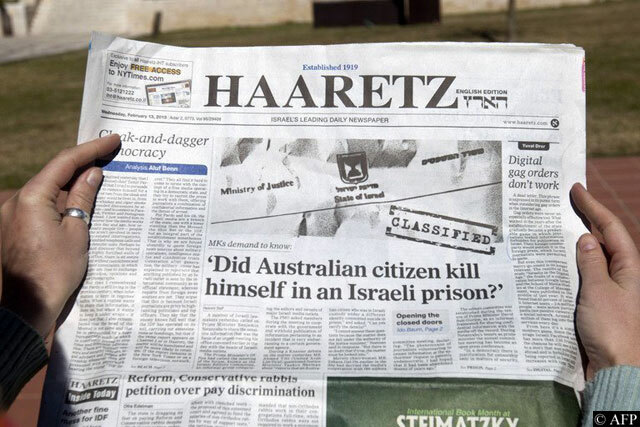 Haaretz reports that his identity, despite being officially a secret, is well-known in the area. if the hardline settlers are out to get him, he must be doing something right. 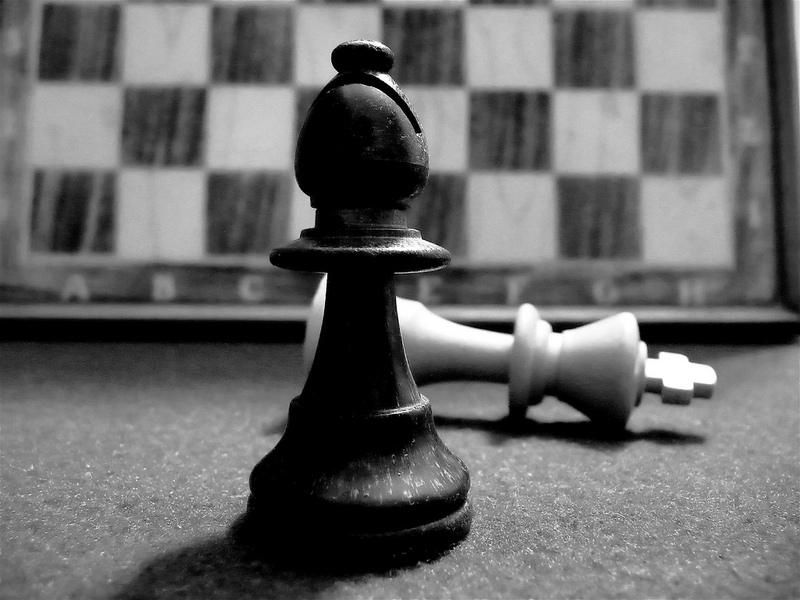 Yemeni authorities sacked their national chess team after it emerged that they played a match against Israeli opposition at the recent world championships in Belarus. What a mature decision. NPR reports that the activist group Peace Now has released an app for the iPhone that tracks Israeli settlements in the West Bank. Useful…perhaps.